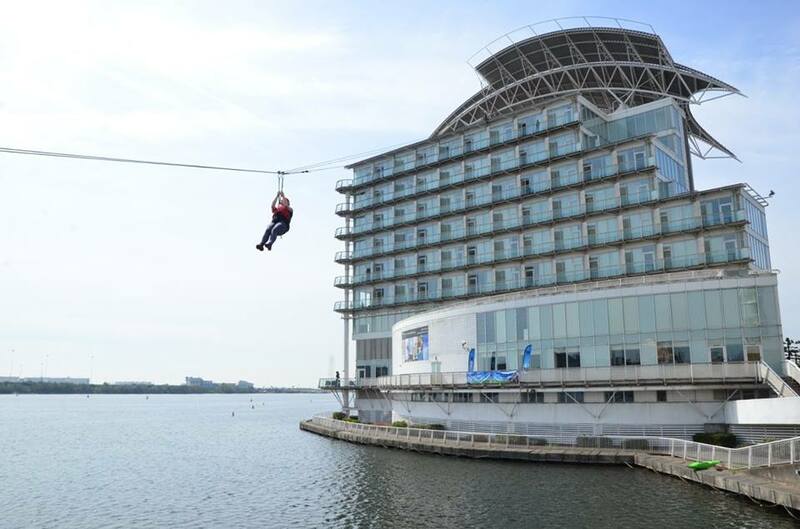 Cardiff’s only 5 star hotel, The St David’s Hotel & Spa, challenged Welsh capital’s adrenaline junkies to take part in a once in a lifetime zip wire event in Cardiff Bay on the 5th and 6th May. The zip wire challenge, which took place over two days, was held in support of Welsh charity The Princes Gates Trust, the Hotel’s chosen charity partner for 2016. More than 200 people, of ages ranging from 12 to 96, took to the Welsh skies across the two days to face their fears and fuel their adrenaline. The daredevils started their 190 ft decent on the roof of the Hotel and flew across the Bay, landing at Sovereign Quay. The total amount raised in support of the young peoples’ charity has yet to be determined but is estimated to be well in excess of £20,000. 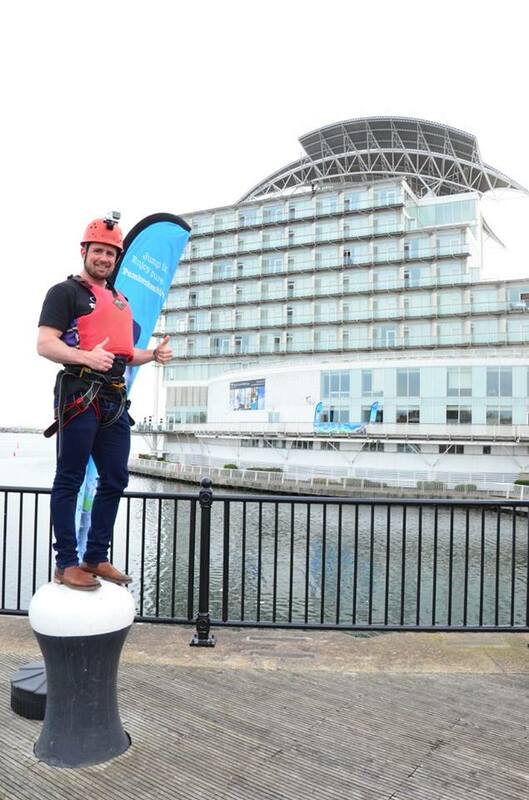 Amongst the high-flying daredevils were three Welsh rugby legends; Shane Williams, Ryan Jones and Ian Gough who took part across the two days, as well as St David’s Hotel & Spa General Manager, Graeme Barclay, who was the first to brave the zip wire. Nicola Edmunds, Director of Sales and Revenue at The St David’s Hotel & Spa, said: “We had a lot of fun organising the zip wire event and we’re grateful to everyone who took part to help raise money for this inspirational charity. The spectators were really enthusiastic and the atmosphere was fantastic. The Princes Gate Trust provides constant support and enrichment to the lives of disadvantaged children, young people and their families who suffer from physical disabilities, or who have been affected by life-changing personal or familial circumstances. The zip wire event was the first of several fundraising events being held by the Hotel this year as part of their charity partnership with the Princes Gate Trust. Other fundraising initiatives in place include a ‘Pound on Your Pillow’ scheme where guests are invited to leave a small donation for the charity in their room at the end of their stay.